I’ve always said that I love writing posts that I love to read. This time of year we are all focused on being eating healthy and embracing fitness so I know there are a lot of questions about how we can be our best selves. Instead of me sharing what I already know, I decided to partner with a professional nutritionist for expert advice on how we can use food to be our best selves. I was super-shook on some of the insight that she had and I know you guys will find this so helpful! Scroll down to read my interview with Registered Dietitian, Alisha Virani. 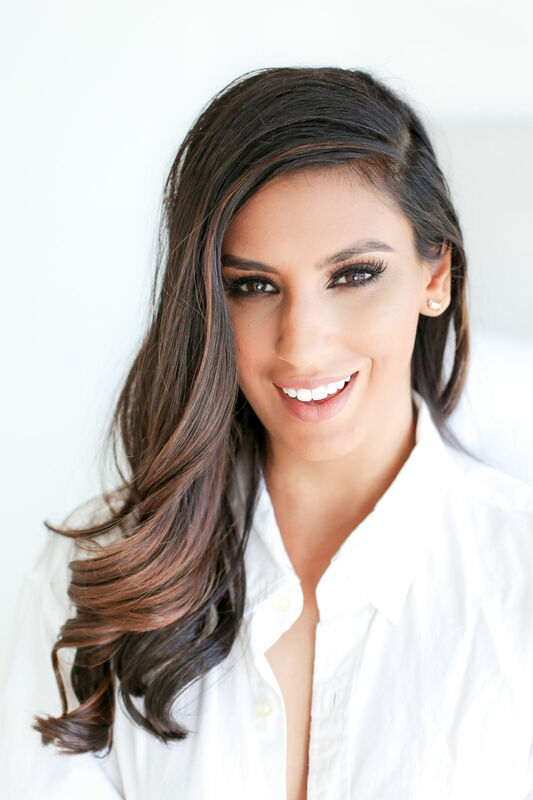 Alisha Virani is a Registered Dietitian and owner of Wholesome Fuel, LLC. She also works full time in the outpatient Diabetes Center at Grady Memorial Hospital. Her mission is to reframe what “healthy” actually means and wants to help her clients be smarter consumers of not only food products, but information about food and nutrition that is so widespread across social media and can become hard to navigate. OKAY IM SOLD, WHAT DO I NEED TO KNOW? Health is more than being a size 0. We live in a society that equates beauty to being “skinny” instead of being healthy. This is why FAD diets thrive as a “quick fix,” because we want to fit these inaccurate societal norms. If we separate society from the individual, we learn that everyone’s body works differently and we have to approach methods of “being healthy” with intellectual skepticism. We live in a world where convenience is highly valued so we tend to fall into methods of reaching optimum health, blindly. When it comes to your own health, ask questions. Seek out professionals with expertise and experience to guide you towards the path that works best for you when trying to reach your health goals. That way you aren’t left trying every single diet on the market and either feeling helpless when they don’t work long term or constantly feeling you have to restrict to see the results you are trying to attain. All diets work for the short term if you’re just trying to lose weight. The real challenge is keeping the weight off. ARE THERE ANY DIETS YOU RECOMMEND OVER OTHERS? HOW DO YOU FEEL ABOUT KETO OR INTERMITTENT FASTING? There is no “one size fits all” when it comes to any kind of diet. I also try to encourage people to think about lifestyle changes they can make versus being on a diet as that has a restrictive connotation. The ketogenic diet is a proven diet plan for the treatment of epilepsy in children. However, this very low carbohydrate diet has gained some popularity for weight loss. Carbohydrates break down into sugar in our bodies and are our bodies’ preferred energy source. The National Academy of Sciences’ Institute of Medicine recommends a minimum of 130 grams of carbohydrates per day for the average person. When we eat a very low carbohydrate diet, we transition to using fat for energy. This can only happen if you eat less than 20-50g of carbohydrate per day, which makes this diet rely heavily on poor-quality fats from processed foods and salty foods, with very few fruits and vegetables. We know this is not healthy and can cause an increase in blood cholesterol levels. Short-term research studies show that the ketogenic diet may increase weight loss, but because this diet is hard for people to stick to, there are no long-term studies to show the benefits of this diet on weight loss over time. There is a lot of disagreement among researchers on the benefits of fasting because there are no guidelines for restriction or what type of fasting is optimal. There are also unknown potential long term benefits or disadvantages for normal weight people. For obese individuals with no underlying health conditions, fasting may be a good weight loss tool, but not a good tool to protect against disease. There are downsides to fasting including extreme hunger, headaches, and a possible drop in blood sugar. So it’s actually just working out and eating healthy? Does the diet promote fast weight loss and sound too good to be true? (10 pounds in 5 days, 20 pounds in 2 weeks)? Does it cut out one of the five major food groups (fruits, vegetables, grains, dairy, and protein)? Does it help sell a particular product from a company? Does it lack scientific research to back it up and rely on ‘personal experience’ to back it’s claims? Is this something that is only realistic for the short term? If your answer is ‘yes’ to any of these questions it may not be a long lasting approach to your goals. HOW CAN I MEASURE HOW HEALTHY I AM? BMI? BODY FAT PERCENTAGE? WEIGHT? A good place to start when answering this question is to understand what “healthy” means to my clients. Does it mean being able to fit into their wedding dress? Preventing chronic disease? Having sustained energy throughout the day? BMI is a good indicator of disease but doesn’t consider the amount of muscle mass someone has. This is the same issue with measuring health on a scale and just looking at a number. Unless you have a fancy scale that gives you a breakdown of what your weight is made up of, it is not a good indicator of overall health. Therefore, percent of body fat, especially around the abdominal area would be the best indicator of health for preventing chronic disease or even fitting into a wedding a dress. But I would also challenge clients to think about health in terms of their energy levels throughout the day; if you are alert at work versus have a “foggy brain,” or what your lab values tell you at your yearly physical. MYTHBUSTER: IS IT EASIER FOR MEN TO SEE FITNESS/WEIGHT LOSS RESULTS OVER WOMEN? In general terms, yes, men tend to see results quicker than women. Men have more muscle which leads to a higher metabolism, therefore being able to burn more calories. Women hold more fat because we are built to bear children which requires fat storage. Understanding this physiological difference can help when approaching weight management. My suggestion for staying motivated would be to redefine your health goals so they are not solely focused around weight or the number on the scale. Energy levels, brain health, being able to focus, certain lab values, muscle mass, and body fat percent are smaller steps to measure goals of success and will likely help you stay consistent with your approach to eventually see the fitness/weight goals you are looking for. There is no quick fix when trying to achieving health goals- it’s all about consistency. Take your time so that once the weight comes off, it stays off. Eating “clean” is another interesting way of eating healthy. When the intention of clean eating is focused on consuming whole foods (fruit, veggies, whole grains, animal and plant proteins) and eliminating processed and packaged food, I think that’s great. However, when the concept of clean eating deems foods that aren’t considered whole “bad” we start to create a disordered way of eating. Use the principles of clean eating as a template and educate yourselves on the nutritional value of certain foods instead of labeling them as “good” or “bad. Remember, eating something that isn’t a whole food every once in a while is not a bad thing. Indulgence in certain foods may not benefit our health, but as long as it is portioned and done in moderation it is definitely not a bad thing! An easy rule of thumb to help with being healthy is that when you eat out, ask for a box right away. When you get your food and take half of it home to control your portion for that meal. Try to avoid the “freebies” like the chip or breadbasket. That can pack on extra calories we don’t even think about. A big thank you to Alisha Virani for chatting with us about nutrition. Stay tuned for a part 2 in the upcoming weeks. You can keep up with Alisha on Instagram or on her website here!